The world needs gifted healers, intuitive guides, spiritual teachers and transformational practitioners more than ever. To stay in it for the long haul during these times of profound change, it’s essential we start thriving instead of just getting by. Unfortunately, I witness many colleagues struggling to attract and keep clients, fretting about pricing, and overextending their time, energy, and resources. A while back I noticed a post written by another Empathic Entrepreneur. At first glance, it looked like a great message, but as I looked a little deeper, I realized it actually illustrated some of the ways many energy healers and transformational business owners block their success. Most healers offer rates at a bare minimum to make their work accessible to anyone who needs it. When clients commit the No-No’s listed below, it causes resentment and sometimes even business failure. Therefore, it’s your job as a client to support your practitioner so they can keep healing you. 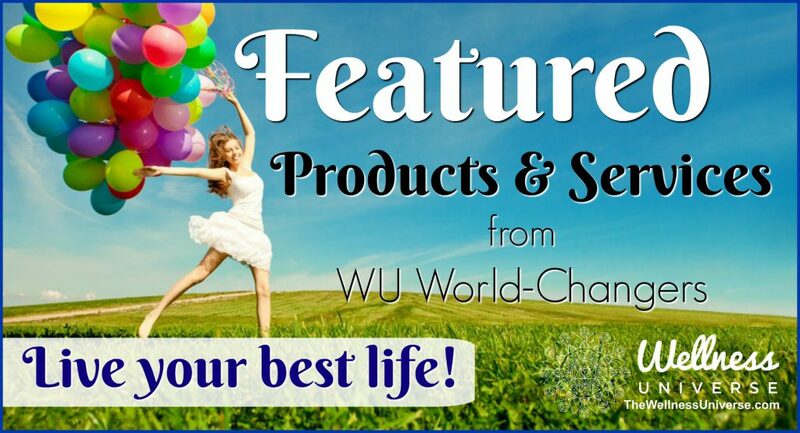 Ask for lots of free advice, services, and special deals. So, what’s wrong with this message? While I’m not sharing a direct quote, you can probably see that instead of looking at how this practitioner runs their own business, they’ve put all the onus and none of the personal responsibility for healing on their client. In reality, every one of these issues comes down to policies, boundaries, and owning value. Clients, are not mind readers. They respond to the information we give them. If clients are frequent no-shows, canceling at the last minute or requesting deposit refunds, it means that these policies are either not clear enough or they aren’t being upheld by the business owner. Some clients will inquire about free options or try to negotiate for a sliding scale. It’s up to the practitioners to set limits. Just because an empathic entrepreneur feels someone’s need doesn’t mean they’re responsible for meeting it. If you find yourself hemorrhaging time and energy and/or offering lots of complimentary support, it’s about you, not the client. Dealing with this starts by setting your own boundaries and sticking up for your NO. If what you are reading makes sense to you, meet Jennifer and connect LIVE! Register Now for her online free workshop. If there is one thing I’ve discovered over the years as an empathic entrepreneur, it’s that people rarely appreciate the actual value of discounted transformational services. Believing we’re responsible for a client’s financial limitations and subsequently keeping fees “accessible” often means we attract bargain hunters and people not willing (or ready) to put their own skin in the game. By offering cut-rate prices, practitioners do a lot of the heavy lifting. This sets up an energetic imbalance, so they often wind up investing more time and energy working on issues than the clients do themselves. At the root of this is the belief that healers and spiritual leaders should keep their rates as low as possible. This is a fallacy that many empathic entrepreneurs buy into. In reality, while there are those who can’t afford it, there are many others who can and will gladly pay for high-end support. What if there were more effective ways to help people who can’t afford our support than making our business choices based on their financial restrictions? Instead of basing income decisions on the lowest common denominator, how about finding the bottom line needed to run a thriving business? What if we could attract clients who have the resources to pay us abundantly and earn enough, so we have the time and resources to do pro-bono work for those in need? I see so many empathic practitioners trying to function like charitable organizations instead of a running their businesses for profit. However, a solopreneur rarely has the resources or governing board a non-profit does to sustain this infrastructure. I can’t even count the times I’ve heard a variation of “It’s not about the money for me. I wish I could just do my work and let the business take care of itself.” In today’s society, rent and utility bills don’t get paid with goat’s milk and two dozen eggs. Offerings at the temple gates were once a valid form of exchange (and some of us may even recall lives when this was the case), but money is today’s medium of exchange. Empaths are frequently ambivalent about accepting money for their services. There’s a genuine desire to help others but it’s often at the expense of self. Yet the universe always seeks balance. When the exchange is consistently one-sided, it will find a way to resolve the equation. This often manifests as depletion, exhaustion, and empathic overwhelm. When this is the result of excusing disrespectful behavior, over-giving, and under-charging, it’s understandable that there’s a part of us blocking more “success” like this. The solution starts when we change how we function as empaths and how we run our business. Recognizing our own part in the equation is the first step to shifting this. Please join my upcoming webinar where we’ll dive further into these topics, and explore solutions to turn it around. 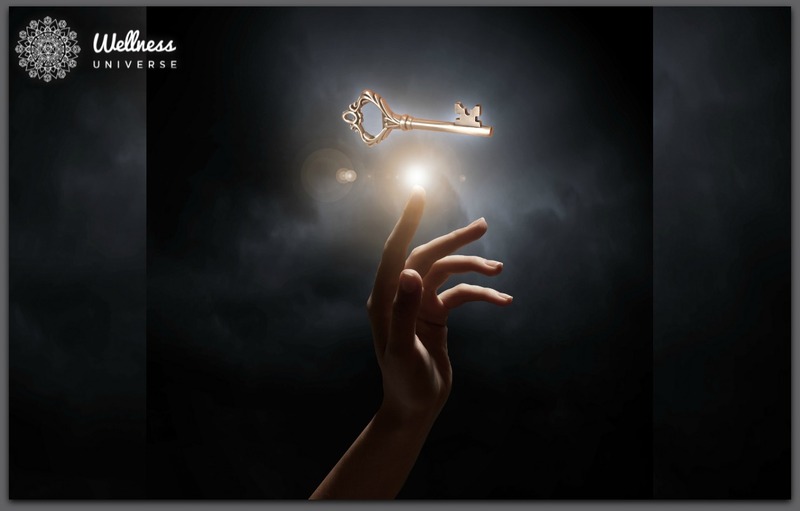 Are you in business for yourself and a Highly Sensitive Empath? It’s time to conquer the challenges of overwhelm, undervaluing your worth, over-giving, taking on other people’s issues, and many more challenges empaths face that keep you stuck in business, affect your personal life, and even cause you to go under. Are you ready to REALLY go deep and change for a success-filled future? 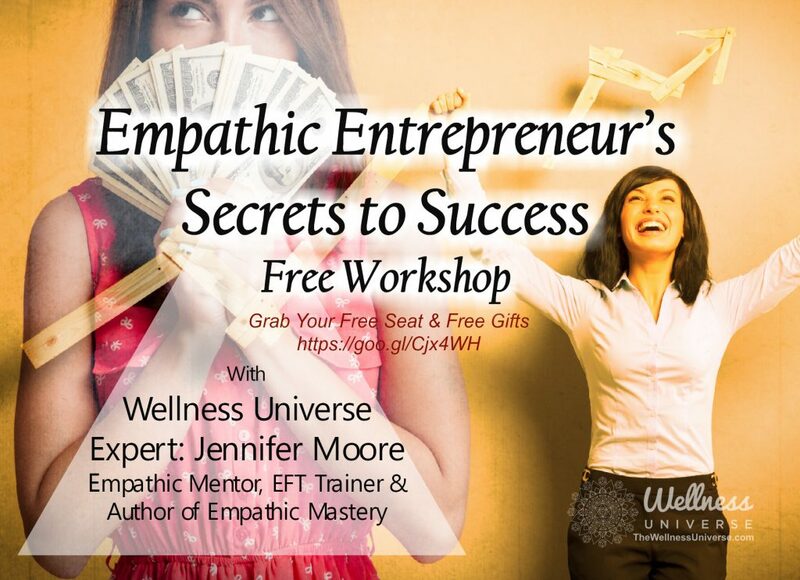 Join Jennifer Moore on January 24th, 2019 for The Empathic Entrepreneur’s Secrets to Success Workshop.